Sriz Beauty Blog: Organix Tea Tree Mint Hydrating Shampoo Review! From past one month,I have been working out sincerely to reduce my weight and as a result of my work out,my hair is becoming super oily due to the sweat and dirt,I am a bit worried about the dandruff.So,I thought of trying a tea tree based shampoo as it helps in preventing dandruff and infections and so thought of giving this Organix Tea Tree Mint Hydrating Shampoo a try ,as I was pleased with the positive feed back from few other fellow bloggers.I ordered it immediately from Flipkart! 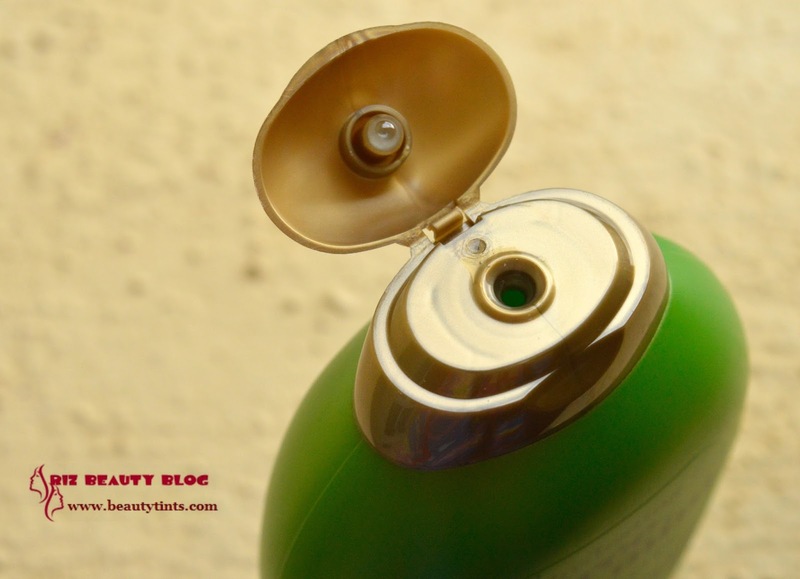 Packaging : It comes in a sturdy green colored bottle packaging with a golden brown colored flip cap. 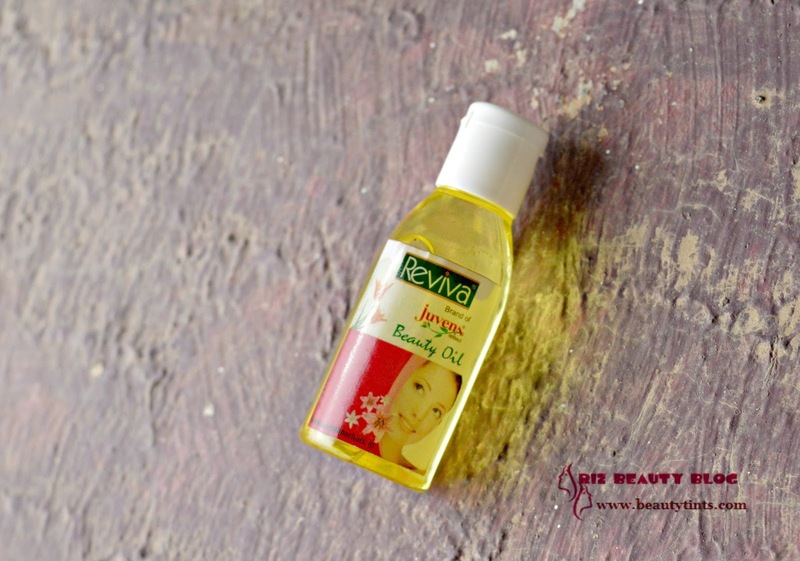 Color and Texture : This is a pale yellow colored gel kind of shampoo. How it Works : The unique blend with active ingredients create a 3 in 1 decadent treat.All you need for moist,smooth and seductive hair in one irresistible formula. 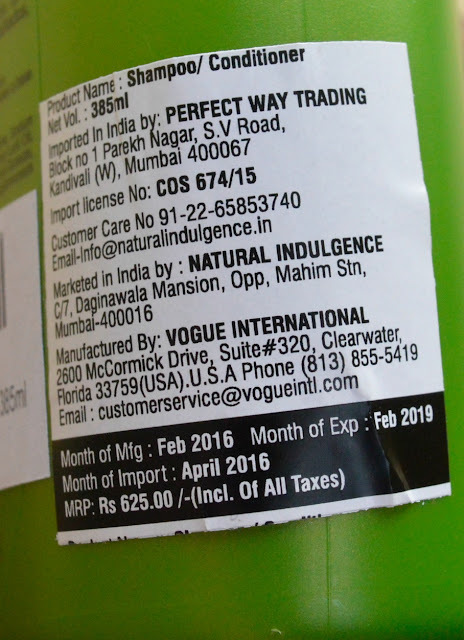 Ingredients : Water,sodium c14-16 olefin sulfonate,Cocamidopropyl hydroxysultaine,Sodium cocoyl isethionate, PPg-3 hydroxyethyl coco/ isostearamide, Melaleuca Alternifolia leaf oil, Hydrolyzed Milk Protein, Mentha Pipertita oil,Panthenol,PEG-120 Methyl Glucose Dioleate,Dimethicone,Amodimethicone,Sodium chloride,Glycol stearate,Guar Hydroxypropyltrimonium chloride,polyquaternium-10,Laureth-4,laureth-23,cocamidopropyl betaine, cetrimonium chloride, trideceth-12, tetrasodium EDTA,citric acid, fragrance, urea, Iodopropynyl butylcarbamate, yellow 5,blue 1. 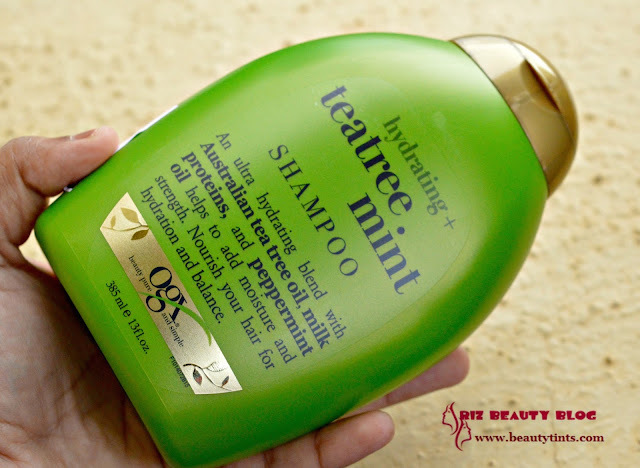 Directions : Apply shampoo generously to wet hair,massage into a lather through to ends,then rinse the hair thoroughly. Availability : Available only from Flipkart, Nykaa and Amazon. My View On the Product : I have been using this from past 3-4 weeks and this shampoo comes in a sturdy green colored bottle with a flip cap.The shampoo is in pale yellow color with a gel kind of consistency.It has a very refreshing mint fragrance,which lingers for some time post usage.It lathers well and cleanses the hair thoroughly making the hair and scalp clean and fresh.It removes the dirt,grime and dandruff flakes effectively.It also prevents dandruff from re-occurrence to some extent. 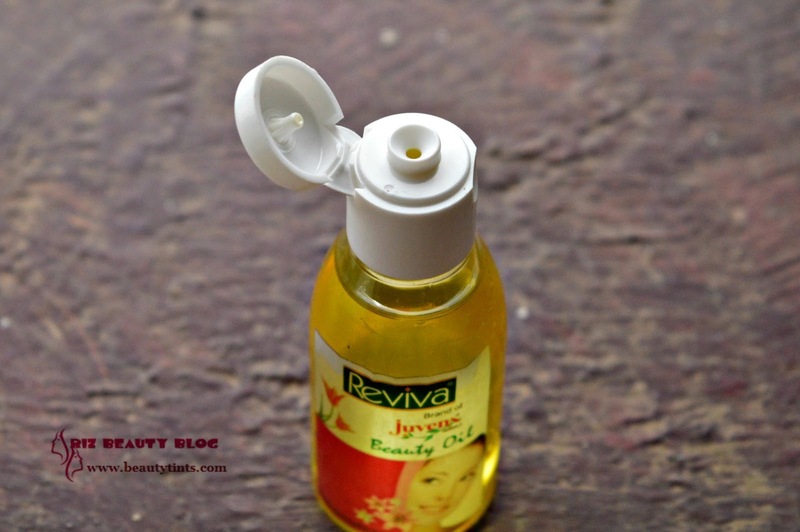 It gets rinsed off easily with out leaving any residues behind.A very little amount is needed every time and so easily one bottle lasts for more than 3-4 months,which makes it cost efficient.It controls oiliness for good 2-3 days which is the best thing for those who have oily scalp like me.It hydrates the hair well and makes it soft and smooth.Those who have extreme dry hair may need a conditioner after it. It is free from sulfate which is the best thing about this shampoo.It contains the goodness of milk proteins, tea tree oil and peppermint oil.The bottle is sturdy but bulky,which makes it difficult for us to carry around.It is available easily from most online e-commerce sites,even in Big-basket. 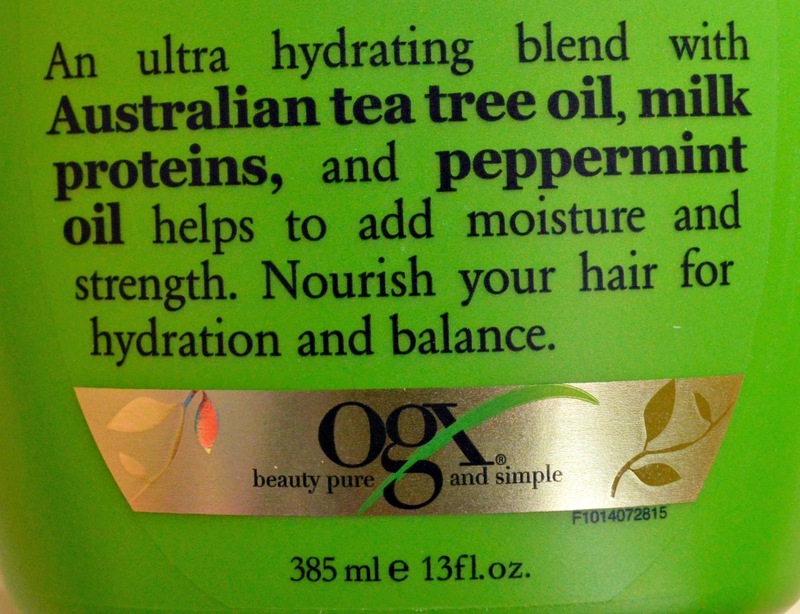 People with Extreme dry hair may need a conditioner after it. 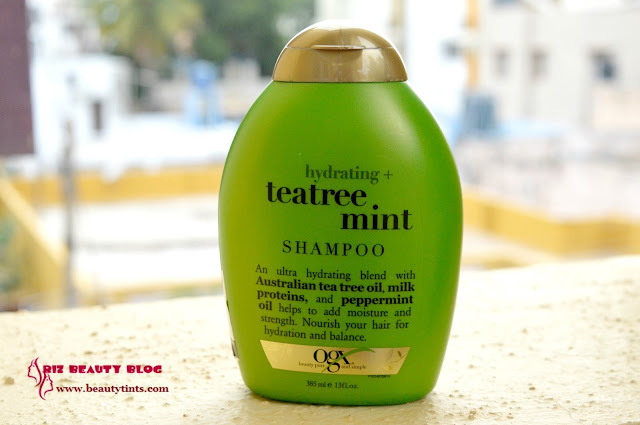 Final Conclusion about Organix Tea Tree Mint Hydrating Shampoo : Those who are looking for a good hydrating and refreshing sulfate free shampoo that cleanses the hair & scalp effectively should give this shampoo a try!